During August it was still predominantly behind but then it started to gain momentum and on 15. 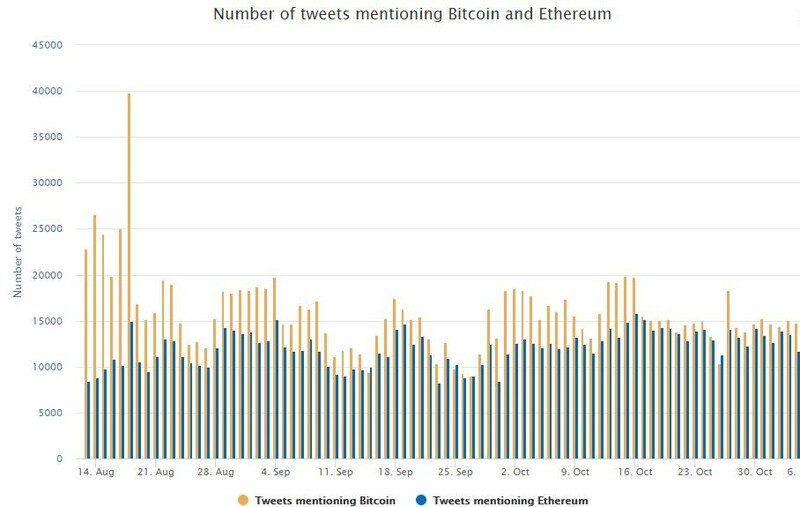 September for the first time (at least for a day) overtook Bitcoin in terms of mentions. Bitcoin then regained a clear advantage for some time while in the last month the social media prominence of both are again more comparable. So enthusiasts of both coins should be happy – Bitcoin is in a great rally in the last few months while Ethereum is also gaining in social media domain and in flurry of development activity.